Advanced Microgrid Solutions (AMS) and Opus One Solutions will bring together their software platforms to help build a distributed grid for utilities and energy customers. The companies are combining AMS’s analytics software Armada with Opus One’s GridOS. 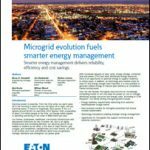 Advanced Microgrid Solutions, a pioneer in the use of energy storage systems for electric utility grid support, will develop and manage distributed energy resources for commercial, industrial and large aggregated customers. Opus One, a leading smart grid software engineering company, will oversee electrical grid energy management solutions, including grid and microgrid monitoring, control and optimization. The shift from centralized to distributed generation has presented utilities with new challenges, including the need to manage two-way power flows and capacity issues. The companies’ combined solution helps resolve these issues and supports widespread deployment and operation of distributed energy resources, including renewable energy. The companies say that their software and analytics can offer utilities improved grid resilience, power quality and efficiency. For customers, it means more reliable back-up power and greater control over their energy supply. “Our solutions are helping utilities build tomorrow’s energy grid – one that’s cleaner, more reliable, and more affordable,” said Susan Kennedy, CEO of Advanced Microgrid Solutions. As reported by SeeNews, Swedish marine energy firm Minesto is accepting bids for the development, design and fabrication of a launch and recovery system for its Deep Green tidal kite microgrid project. The DG500 kite will be controlled through a microgrid system housed on a vessel moored to a buoy, which will be attached to the kite via an umbilical leading from the seabed foundation and a kite tether assembly. Minesto plans to install a pilot 500-kW tidal power plant at the Holyhead Deep site off the coast of Anglesey, Wales, in 2017. The 10-MW Deep Green tidal power project will be implemented in phases. The deadline for submission of bids is August 8. Clean electricity is now available to 11 villages in remote Myanmar, thanks to 11 solar-powered, battery-backed microgrids implemented by Sunlabob Renewable Energy and funded by the Government of Japan. The solar with battery storage microgrids are providing reliable, clean electricity to nearly 1,000 households throughout Shan State and Chin State, Myanmar. “Decentralized renewable energy, whether providing first-time energy access to rural communities, or offering on- and off-grid businesses a reliable, affordable and cleaner electricity supply, is a key component to the country’s development,” said Andy Schroeter, Sunlabob CEO. To support long-term sustainability, Sunlabob is providing seven years of after-sales service and maintenance for each system. The company also delivered hands-on training for local maintenance technicians, household end-users and township-level employees of the Department of Rural Development. 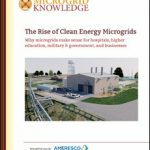 Join us on Twitter @MicrogridNews for more about Advanced Microgrid Solutions and other distributed energy news.